Are you looking to alleviate the discomfort of arthritis? Exercise helps ease arthritis pain while increasing strength and flexibility — and exercising in the pool is low-impact and friendly to your joints. 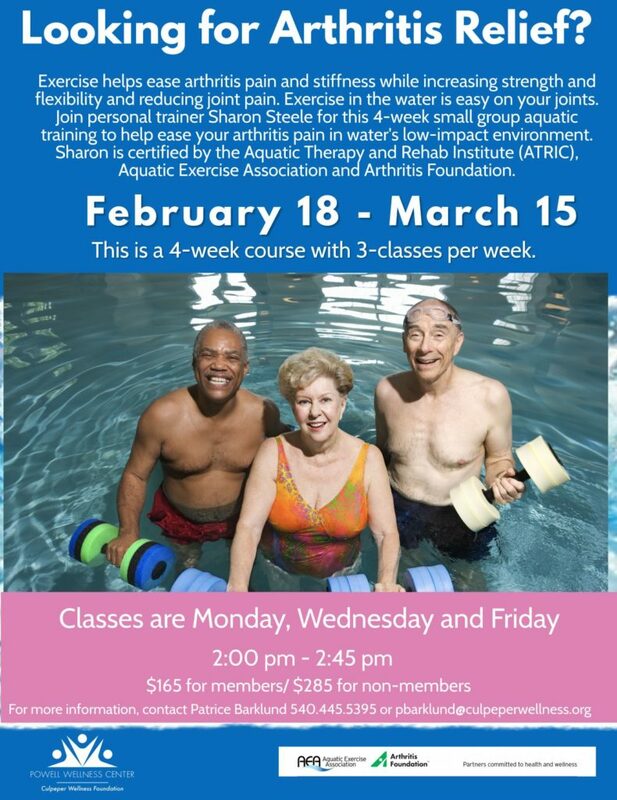 Join this 4-week aquatic small group training program with personal trainer Sharon Steele, certified by the Aquatic Therapy and Rehab Institute, the Aquatic Exercise Association, and the Arthritis Foundation. Date and time: February 18 – March 15. Classes held on Monday, Wednesday and Friday 2:00 – 2:45 pm. 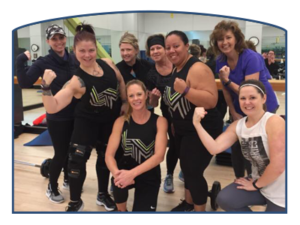 Program fee: $165 for members, $285 for non-members.